February 10, 2019 • CATEGORIES: CJ5 • TAGS: Nice, Stock. Maury shared this nicely restored CJ-5, but it it’s not cheap. This also appears to have some rare Cutlas Bulldog hubs. 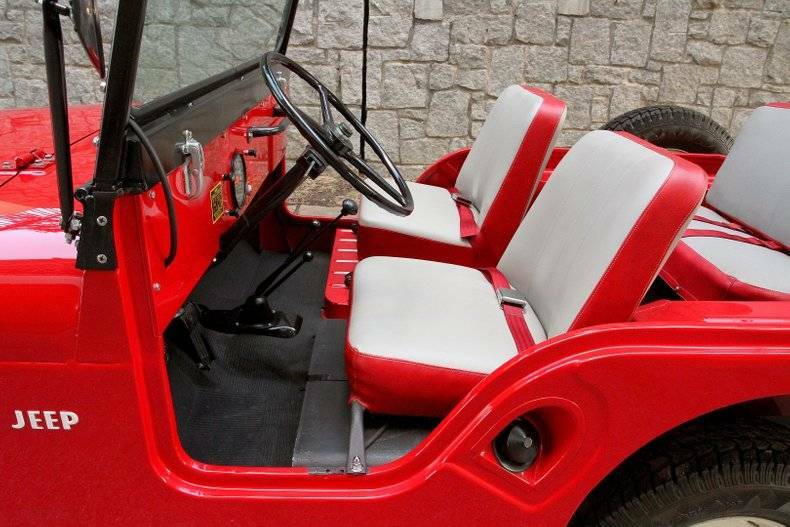 “Motorcar Studio is pleased to offer this fully restored 1959 Willys Jeep CJ-5. After WWII, Willys smartly capitalized on the success of their military Jeeps and began producing a ”Civilian Jeep” – or CJ – and the rest is history. 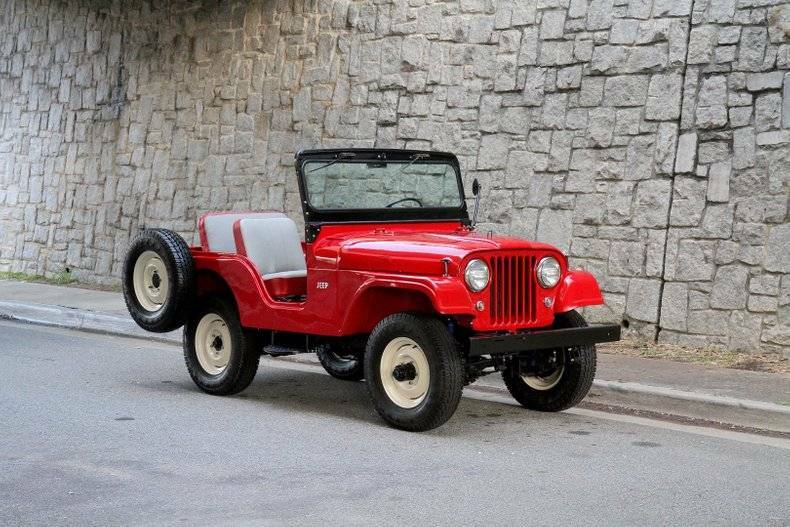 This ”Universal Jeep,” as it was marketed at the time, was a huge hit and over 600,000 CJ-5s were produced from 1954 to 1983 – but few have been restored to this standard. 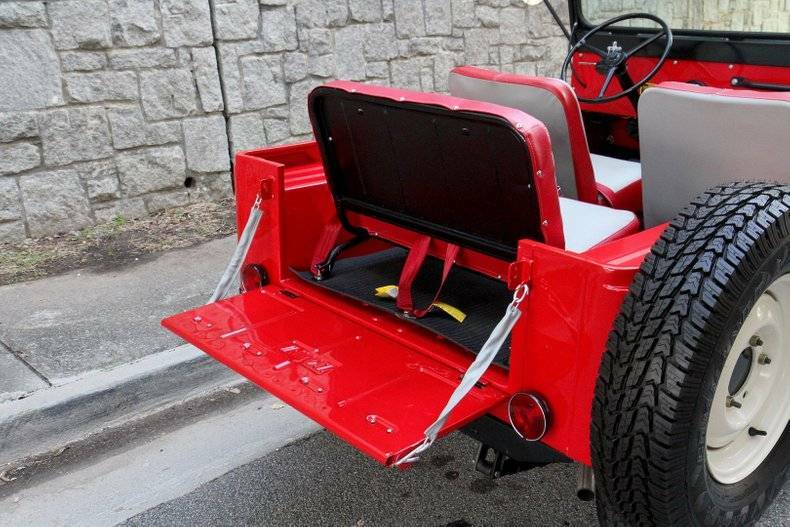 This CJ-5 was used as a grounds service vehicle for a drive-in movie theater in Cleveland, Ohio before being discovered and purchased in 2010 by a gentleman who embarked on a frame-off, nut-and-bolt restoration to exacting standards. The original tub was deemed to be too far gone to practically restore so a new steel tub was sourced from Willys-Overland Motors in Toledo, OH. The original fenders, hood, grille and windshield frame were in good condition and were retained for originality. The frame was media blasted and detailed. The correct President Red paint is excellent outside, inside and under the hood and the body is super straight. 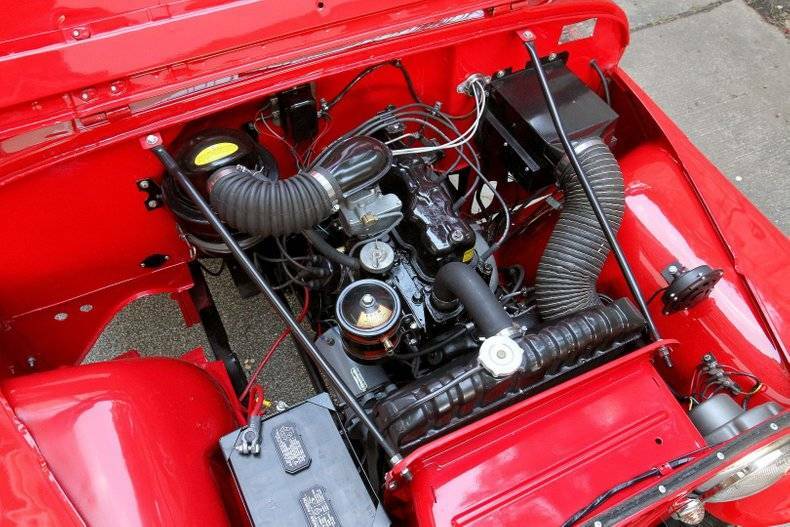 The engine, axles and suspension were all rebuilt and detailed to a show standard. 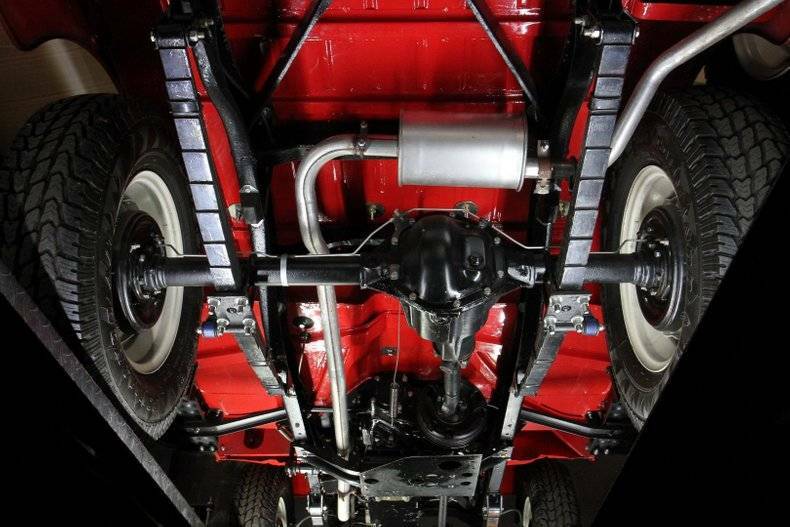 The Hurricane F-head 4-cylinder runs great and is mated to a 3-speed manual gearbox. The seats were restored with appropriate materials, including the rare factory rear seat. Likewise the correct wheels were media blasted and restored with modern radial tires in place of original bias-plys, but close in size and appearance. that’s pretty , except the seats don’t look correct . white rims look OFFICIAL on that era of CJ’S . All that work and no top bow sockets and cheep repro steps , but he did get the seats right . those seats came out of a Hudson Hornet , incorrect ..
Hudson Hornet ???????????????????? What ?